If you are a Google AdSense customer that is making considerable earnings, you may be wondering where your tax form is from Google each new year. 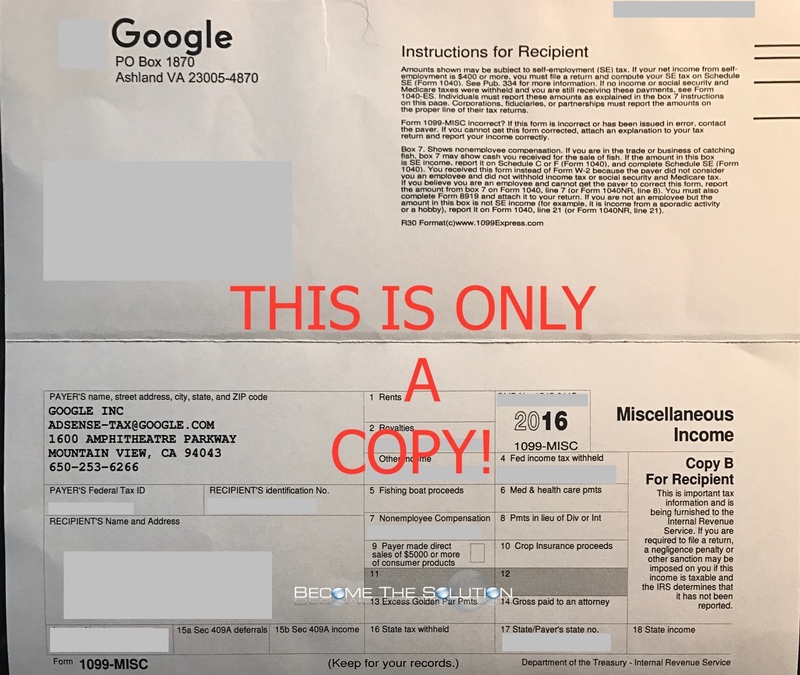 It appears Google doesn’t post the famous 1099-MISC form (tax form Google sends to customers if AdSense earnings are more than $400) online after each tax year and rather prefers snail mail for distribution. This seems archaic especially for Internet giant Google, when most other companies that have the capability to post the tax return documents online do. In any case, it could be Google only mails “smaller dollar amount” returns and bigger returns can also be downloaded online. It will be interesting to hear from other AdSense account owners thoughts on this. You can expected your receive your Google 1099-MISC sometime beginning February if you received payments totaling moret han $600 the previous year. If you have not received your 1099-MISC by February 15th, fill out a re-issue form.